It is important to travel and all the more important to travel during the right season.But “Monsoon” is usually not considered as a right season. Is it truly so? I disagree !! Post below will take you through awesome places to visit in the monsoon in India. Monsoon is a rainy season in India. It starts from July to early September. India is usually dry, hot and humid. People wait for months for this Monsoon season to arrive.When monsoons arrive, it is time for celebration. The feeling of everlasting happiness prevails after the blistering heat of summer as showers start. For me, I think my monsoon celebration begins with my travel plan. Yes, I celebrate this season by planning a trip amidst the rain! I am sure for most of the travelers it should be the same too. If you want to see a never seen before shades of color green you need to step out in Monsoon season and discover destination and places to Visit in Monsoon in India. Seasons actually decides our travel plans. Spring Summer Fall Winter in a broader sense decides your choice of destination.In India, the season is divided into six categories.Spring- Vasant, Summer-Grishma, Monsoon-Varsha, Autumn-Sharad, Pre Winter-Hemant, Winter-Shishir. The preferred season is spring and summer for travels and the least favored is Monsoon. But in reality and contrary to this belief Monsoon is an equally important season to travel. Monsoon brings out something unique in the city you plan to travel. Because during this time the vibes are different and there is something special to experience. Every destination has a character based on history culture and lifestyle of people who live in it. With monsoon, there is a sense of happiness and due to this happy atmosphere monsoon brings out the happy character of the city. India is dominated by hot climate and sometimes you need to face that scorching heat while traveling to your destination. Thanks for cooling and Air conditioning we can manage the road trip in AC cars. But, imagine your same trip in rainy weather where you can roll down the car window, feel the drops of rainwater on your hands and gaze the greenery around you. All this is possible during the monsoon travel and monsoon holidays. There is a complete transformation of the entire landscape in Monsoon. Raindrops make all happy. Its surprising as what you have seen before is changed into green heaven. The color green is very bright and beautiful bringing in that fresh vibes into everywhere you go and see. It is like a spontaneous magic unfolding in front of your eyes. When I visited the same destination in the different season, I did not see those shades of color again. The landscape and feeling were like momentary gifts that can’t be found again. It was a feeling you want to chase again and again while visiting different destination as it rains. I visited the same destination in the different season but I did not see those shades of color and feeling yet again. Though there is a word of caution for the rainy season. The drives are usually tricky and you need to follow extra precautions because no one wants to be caught up in a sudden downpour or road blockage. So, If you plan well in advance you can surely embark a great journey. We usually plan monsoon travel to places like Cherrpunji and Coorg. But in reality, those places are forever green, rather you need to see places which are not so green otherwise. Go to these places in offseason to see a different charm and experiences. I have an affinity for monsoon travel because it is also my birthday month and I visited destinations during this season and hence Monsoon Holidays are my favorite too. 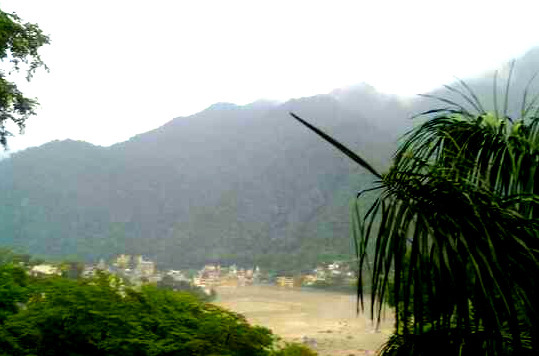 Rishikesh is beautiful in monsoon. As I saw overcast sky and clouds gathering above the idol of Lord Shiva I got Goosebumps. The beauty of that moment is unexplainable. I was lucky to have clicked this picture because that idol is washed off during the floods of Uttarakhand and is not there now. When I visited Rishikesh it was very humid in summer times but monsoon experience was unexplainable. Ganga river was soaring and was a different color.Tourists were advised not to go rafting. Away from usual, I admired the mists on the hills giving a magical feel to the landscape. The river Ganga was soaring and in a different color. For me, the biggest entertainment is watching nature unfold its glory in front of my eyes. I prefer to view the changing color and pattern of a beautiful sky on a hilly destination over an adventure sport. Jaisalmer typically is visited in winter season because of good weather but my monsoon trip to this destination was a beautiful experience. I saw a different shade of color yellow there. Desert was dampened and village people were extremely happy. Being the desert area Jaisalmer faces a shortage of water. During rainy season everyone looked happier. That happy feeling seemed to have been absorbed into the atmosphere and it definitely felt like a celebration. I saw a different shade of color yellow there.Desert was dampened and village people were extremely happy! 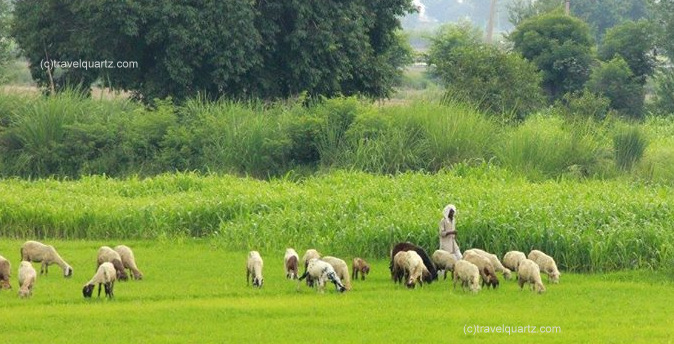 Rajasthan is not all about the brown sandy landscape. It has green locations too. recently I visited Bharatpur City in Rajasthan Monsoon and it was so green . See the video below to believe how beautiful it is to travel in rainy season. were beautiful like never before being covered in clouds filled with water.The smoky look in the sky was nothing less than arriving in a hill station from heaven. The sounds of Buddha Chanting from the Dalai Lamas residence made me believe that this place is just a transportation to another world. 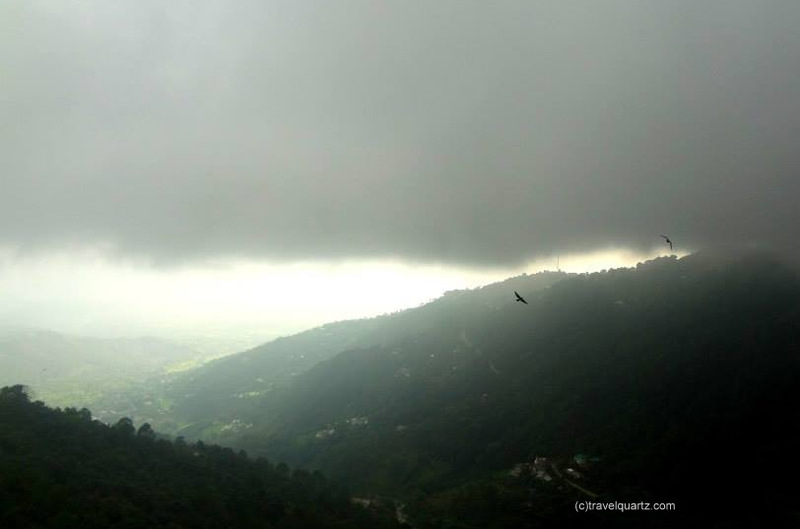 Monsoon travels, Mcleodganj, India !! Goa I visited so many times but once I decided to visit it during monsoon. Yes, Goa is also one of the preferred places to Visit in Monsoon in India despite being offseason. Everyone warned me there will be high tide winds and bad weather. But when I visited I saw a different landscape. I saw Goa greener than before. Rainwater has added charm to this blissful water destination. This time I could not soak up the sun but I could relax with a cup of coffee, meditate and enjoy the views of nature. It was fresh and beautiful. The picture here is one of my favorite. As I sat down I saw this tree fallen into the sea and making this view spectacular. The picture here is one of my favorite of a tree fallen into the sea making this view spectacular. 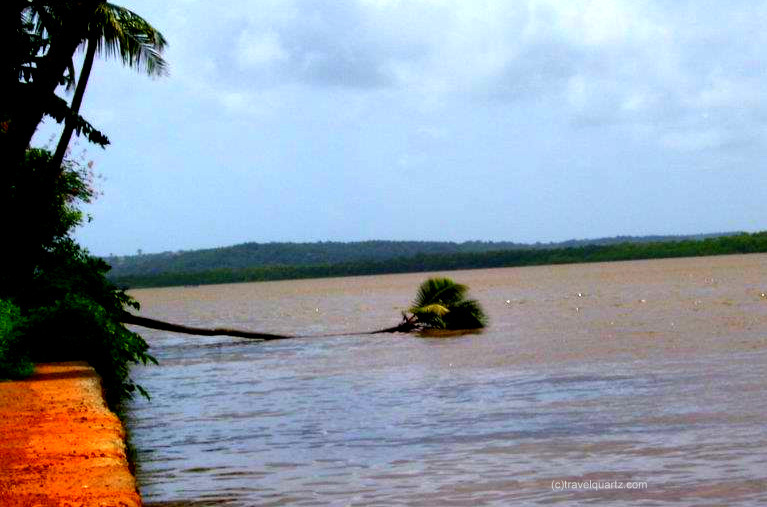 If you want to read more about my Goa Trip – click here- South Goa in Monsoon! Goa I visited so many times but once I decided to visit it during monsoon. So don’t go by what people say, but, follow your heart. The popular belief that rains are a dampener to your dreamy holiday is not at all true. Rains are a window of opportunity to see that different travel destination. A place like Delhi is usually either too hot in summers or too cold in winters, I prefer visiting Delhi too in Monsoon and this time I saw a rainbow as well! Though it’s a rare phenomenon here’s a video on the same. My next monsoon trip is to the blue city Jodhpur in Rajasthan India. More than anything I am excited about the colors I will witness there. Also, the monsoon magic I know will be momentary. 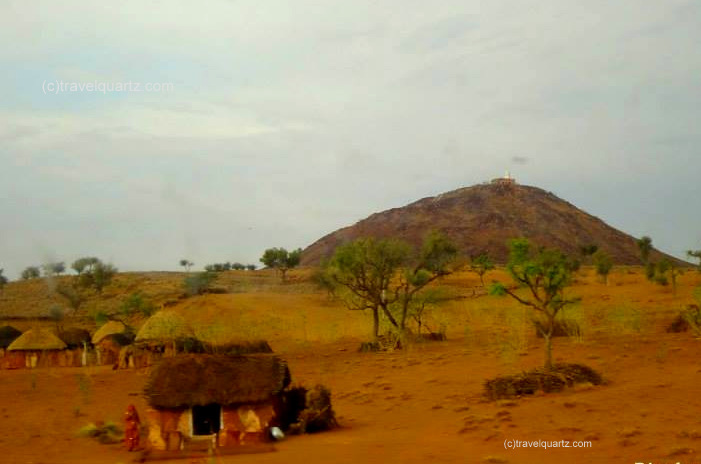 IF YOU WISH TO READ HOW MY TRIP WENT THEN CLICK HERE – JODHPUR MONSOON TRIP !! Hence, I urge you to plan your travel now and share which are your favorite Places to Visit in Monsoon in India? If you plan to do that monsoon travel do share your experience with me and if you want to inspire your friends on monsoon travel do share this post and do travel in the rainy season. Thankyou for the appreciations 🙂 the first or cover picture is from Mcleodganj Hills near Dharamshala, Himachal Pradesh, India! you have perfectly described where to go in monsoon season and two places i wish to go Rishikesh and goa . Neha, thanks for your great article! I would never have considered traveling during monsoon season but your post made me reconsider! I thought monsoon was just some heavy rains and wanted to go to Sri Lanka because the prices were very low….then I knew why – it’s exactly how you describe it. I find it very interesting how different the monsoon affects the various places – amazing natural impact. very interesting and well collated article!! I lived in Mumbai for years and miss the monsoons there…it was simply brilliant! I never knew that about monsoon season. I’ve only heard avoid it. Surprised to see desert regions in India, too! Thankyou glad you liked this post 🙂 Jaisalmer and nearby cities offer great deserty tourist places . Please note for your visit ! I had no idea the landscapes in India changed so much during those months. Your pictures and videos did a great job showing how green the scenery really is! I always thought the monsoon season wasn’t the best to visit India, because of the rain. I get now that it can be cheaper and especially not crowded, which is why it’d make sense to risk it even with the heavy rains. Of course, one has to be more careful, as you pointed out! These are fantastic photos. I would love to vistit India someday, thank you for sharing! I love using the monsoon season as a reason to travel. Of course places are particularly beautiful after a good rain! Thankyou glad you liked this post 🙂 Mc Leodganj is magical in monsoon though one must pla to avoid the extreme hilly areas due to landslide so I preferred train till Pathankot and then a cab . This is really interesting. I always try to avoid monsoon season if I can wherever I am traveling. But there is still a lot of places to go even if it is a monsoon. Thankyou glad you liked this post 🙂 Lol earlier I avoided monsoon too but sometimes its good to challenge the norms and one might reach a better option like that . I think the Jaisalmer is the place I would choose. Loved how the village looks. Great choice !! It is tricky as Jaisalmer is desert region and one can get rains there rarely, luckily I visited in Monsoon and enjoyed it !! Lovely post . India has so much to offer during Monsoons! Wow your photos look so amazing! Honestly, I generally hate rain and it makes me miserable so I would never think about purposely traveling into the rain, but I might just consider that for India! I wouldn’t normally think about traveling during monsoon season, but your photos look great! I have been to these places but never knew all look fabulous in monsoon. Lovely post enjoyed thoroughly. How lush and green the landscape is during monsoon! Must be refreshing after the intense heat of the Summer. This is very useful if you needed to find out where you can travel during monsoon in India.